As Palestinian resistance fighters in the Gaza Strip fought invading Israeli troops on the ground, another war was raging between pro-Palestinian and pro-Israeli activists on the Internet. "There were two wars going on," Amira Al Hussaini, Middle East and North Africa editor for Global Voices Online, a website that collects the work of bloggers from around the world, told the Christian Science Monitor Friday, January 23. "There was the one going on on the ground, and a parallel war happening in the virtual world." More than, 1,300 people, including 410 children, were killed and 5,450 wounded in 22 days of air, sea and land Israeli attacks in Gaza. As Israeli troops continued to batter Gaza, home to 1.6 million people, pro-Palestinian and pro-Israel technology savvy activists engaged in cyber war to win support for their side. The Israeli army set up a YouTube channel, showing footage taken by Israeli drones flying over Gaza. In response, pro-Palestinian activists launched a website showing the scale of destruction in the impoverished strip. Activists also posted videos and images of Palestinian children killed by the deadly Israeli offensive. Activists also managed to redirect traffic from several high-profile Israeli websites to a page featuring anti-Israel messages. A pro-Israel group called "Help Israel Win" immediately replied, asking users to participate in an online effort to overload Palestinian websites. Another pro-Israel group called "the Jewish Internet Defense Force" employed various methods to remove or disable pro-Palestinian groups on Facebook, the world's second largest social networking website. 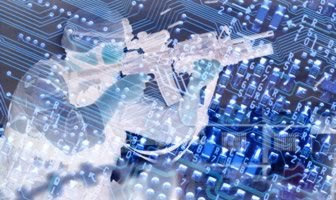 "All the [online] social-networking tools were used to the best of people's abilities on both sides," Al Hussaini said. Using Twitter, an online messaging service, the Israeli consulate in New York held the first "government" press conference, allowing everyone with a Twitter account to take part. The Israeli government also launched a campaign to recruit a multilingual "army of bloggers" to help win support to the Israeli war. "The blogosphere and new media are another war zone," the head of the Israeli army Foreign Press branch, Avital Leibovich, has told The Jerusalem Post. "We have to be relevant there." Media institutions also used the state-of-the-art technology to win support for the bombed-out Gaza Strip. The Doha-based Al-Jazeera has sent out reports from Gaza via Twitter to users. It also posted an interactive map showing where war-related incidents in Gaza and Israel were happening. "This is the first time that new media worked as a proven concept for how a mainstream media organization can cover an event like this online," Riyaad Minty, a new media analyst with the Doha-based Al-Jazeera television, said.